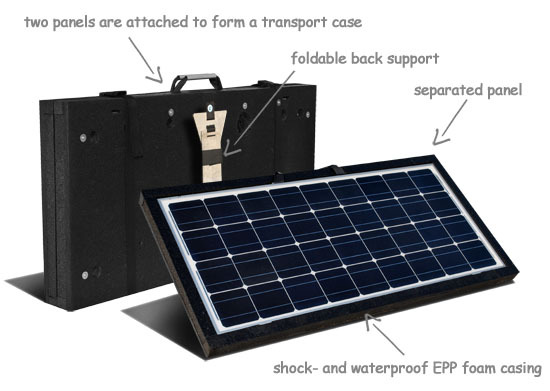 SolarCase units are portable solar panels, with each case consisting of 2 solar panels. 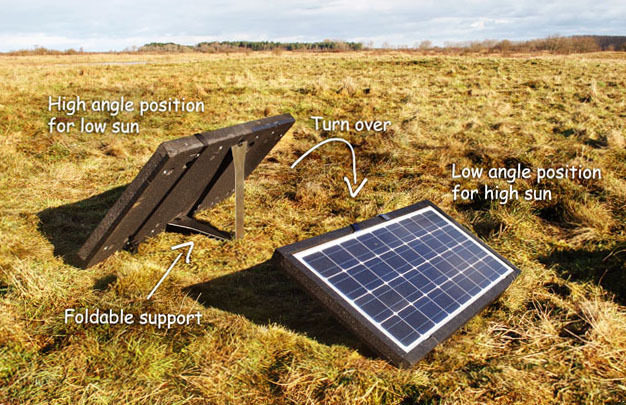 The case splits into 2 solar panels with adjustable stands, allowing them to be orientated to the Sun with ease. The SolarCase consists of 2 high performance solar panels mounted into an exceptionally tough shockproof casing. The two solar panels can be used together or separately and with multiple SolarCases you can build up large solar energy systems.The installation time literally takes a few seconds which makes it excellent for mobileapplications. 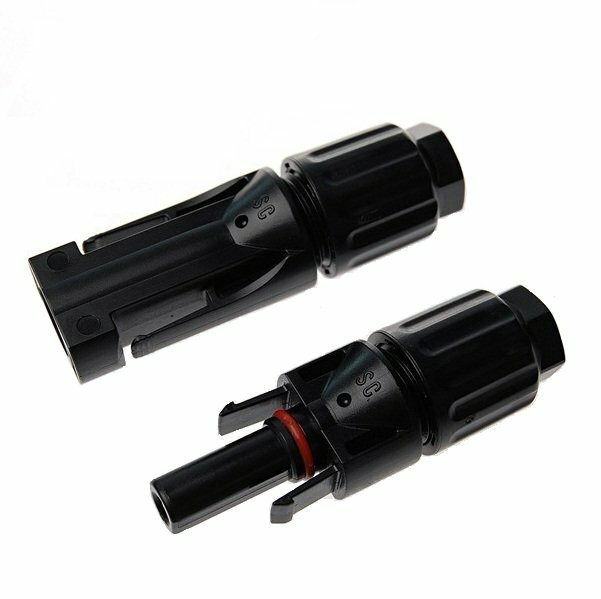 The cases are also designed with universal mounting points so they are also suitable to be permanently fixed installations like on rooftops or on frame structures. The SolarCase includes a foldable support, which can be opened in a few seconds. By flipping over the case you can switch between a high and a low angle position according to the level of the sun. This foldable support is not only excellent when you place the panel directly on the ground, but evenly practical for quick flat rooftop installations. You just open the SolarCases, turn them towards the sun, plug the sockets, and your system is ready to go. Our strategy is not to force you to only use our systems but to give you maximum flexibility. That is why our SolarCases are equipped with universal MC4 connectors which make them compatible with most systems outside our own product range.